Last week saw two major events kick off in Hong Kong to explore the vast and rapidly unfolding potential that lies at the intersection of tech and business. 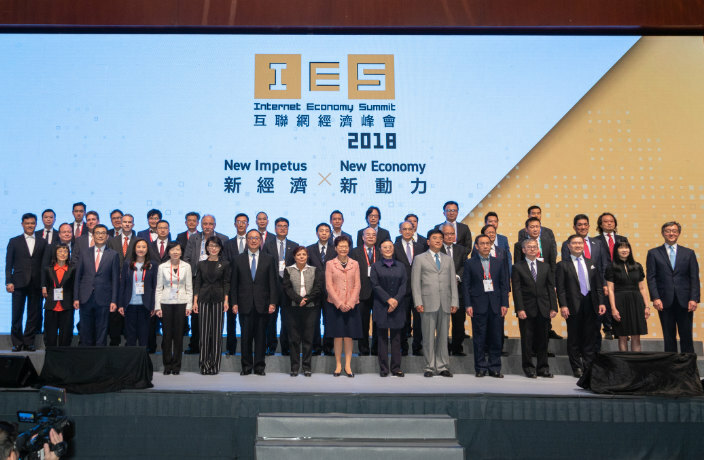 The Internet Economy Summit and Asia-Pacific Business Forum brought together dozens of luminaries from the fields of commerce, development, finance, media, government and tech. That’s was on the scene to document the proceedings and chat with some of the best and brightest experts at the gathering. Below, we bring you highlights from an eventful and enlightening week in the Fragrant Harbor. China Daily editorial board member Zhou Li kicked things off on Wednesday by offering some sage insights on the distinctive role of the Belt and Road Initiative in contemporary times. “We no longer use silk and we no longer use camel,” he told those assembled, clearing up some key differences between the today's ‘Digital Silk Road’ and the literal Silk Road trade routes of the past. JD.com can "make money even when people aren’t buying," CEO Winston Cheng explained, citing 100,000 recently recorded search queries for a specific European luxury brand that the website doesn’t even carry. Despite the fact that no sales could have been made, knowledge of where consumer interest lies can be immeasurably valuable towards understanding markets. UN Under-Secretary-General Shamshad Akhtar had words of high praise to offer for Chinese President Xi Jinping, gushing that Xi’s speeches were “full of references to sustainable development goals” that “few leaders in the world have so strong a grasp of.” Her comments were met with much applause from the assembled crowd. Ren Jingxin, CEO of Hong Kong’s Cyberport, while conceding that Hong Kong is still far behind the Chinese mainland in the development of cashless payment infrastructure, assured That’s that the Special Administrative Region is quickly catching up. Soon, he said, a single QR code will allow vendors to accept transfers from 16 different digital payment platforms and banks. Zhong Xiangqun of the Bank of China (Hong Kong) had some unsettling revelations about the rapid rise of biometric technologies in the banking sector. “PINs can be forgotten or stolen, while signatures can be forged or change over time,” Zhong told That’s. "Facial recognition, fingerprints and even devices that can detect the unique vein patterning in people’s hands are more secure and reliable ways to confirm identities during financial transactions.” For phone banking, Zhong said voice recognition technology could match customers to a unique voice signature. Zhong assured That’s that no industry is more attuned to the sensitivity and discretion required when dealing with people’s personal data than the finance industry, explaining that the stakes are simply too high. Zhong was confident that the convenience and security offered by biometrics make it a sound choice for banking. The flight, which took off at 8.01am on Monday morning, was forced to make an emergency landing less than thirty minutes later.